Created in Sweden swimming between and running across islands, this exciting new sport of swimrun arrived in the UK with the first event in Buttermere in 2015. In just two years the number of events in the UK has increased to 11 including an ÖTILLÖ qualifier in the Isles of Scilly. Triathletes have some of the skills necessary however don't under estimate this tough endurance challenge. MyTriathlon has responded by offering seven different wetsuits from three UK brands. UK There are 8 UK SwimRun events this year 9 if you include Jersey. The specific SwimRun wetsuits are designed to be able to run without overheating [specific zips and sometimes short sleeves, or sleeves you can cut] whilst still providing that buoyancy required to assist over the long swims. Some [Orca and Zone3] come with Calf guards to help with buoyancy. Orca and Zone3 also sell these separately. 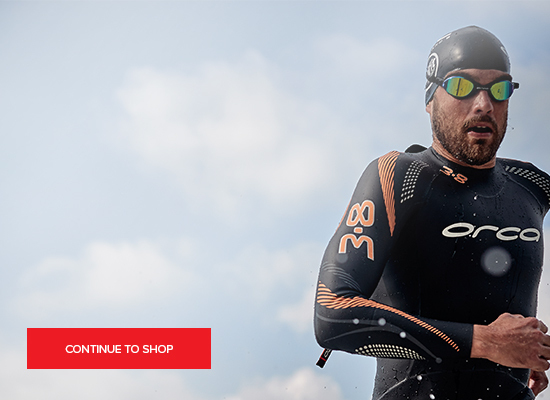 MyTriathlon offers the widest UK range of Men's SwimRun wetsuits from Huub, Zone3 and Orca.